Today’s post is inspired by these amazing Tom Dixon Bash Vessel bowls that I spotted whilst at Heal’s a few weeks ago. And as we are only 12 days away from Christmas, I am rather hoping Santa knows just how good I have been this year!! 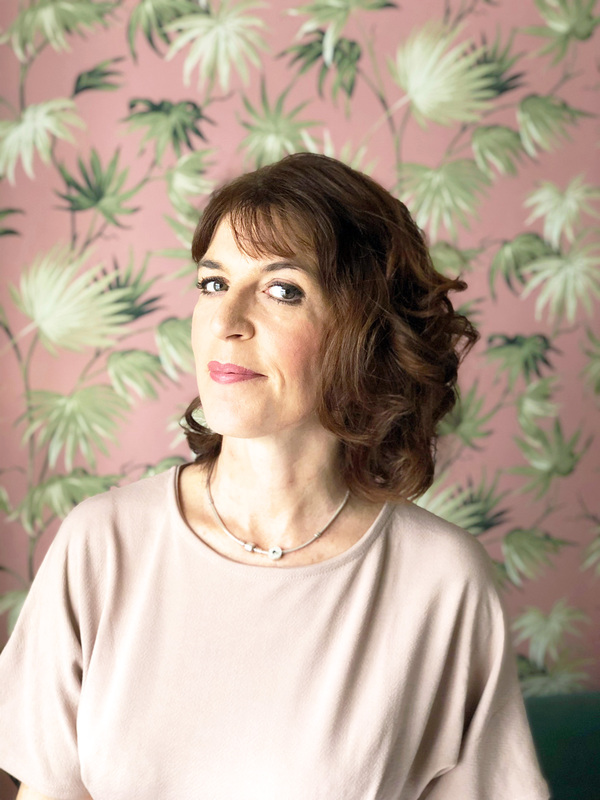 There are so many ways that you can introduce metallics into your homes, and I thought you might like to escape with me for five minutes for some interior inspiration, and forget about all the shopping and organising that Christmas brings. There is something about metallics in our homes that instantly adds a touch of glamour and luxury, even to the most humblest of homes. 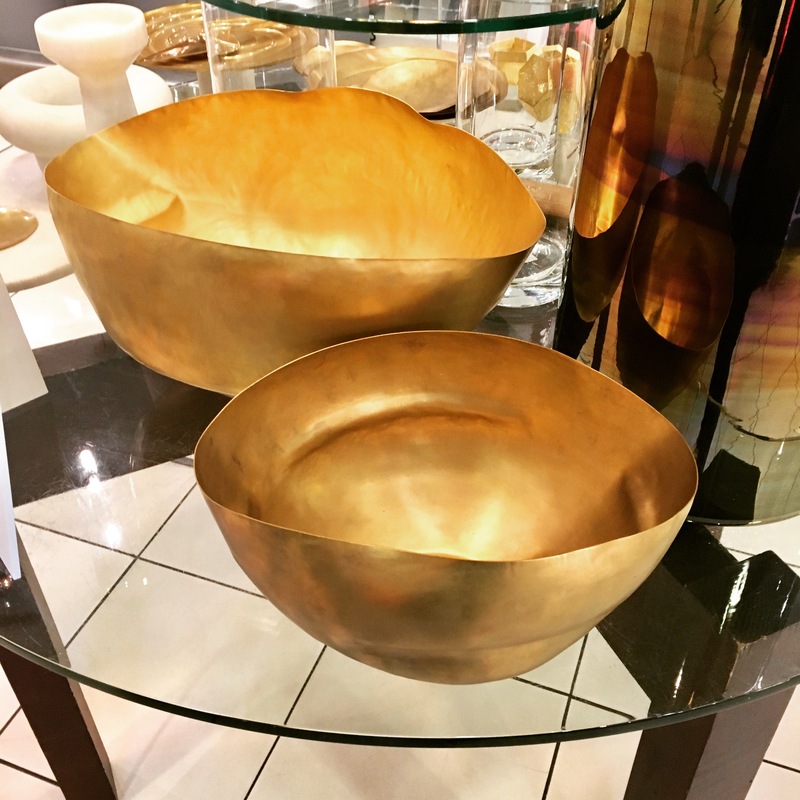 Whether it’s on trend rose gold, brass, copper, or back to basics gold and silver, they offer a physical and visual attractiveness to our spaces. Metallics are consistently in style whatever the latest trend. It’s all down to personal taste and style. 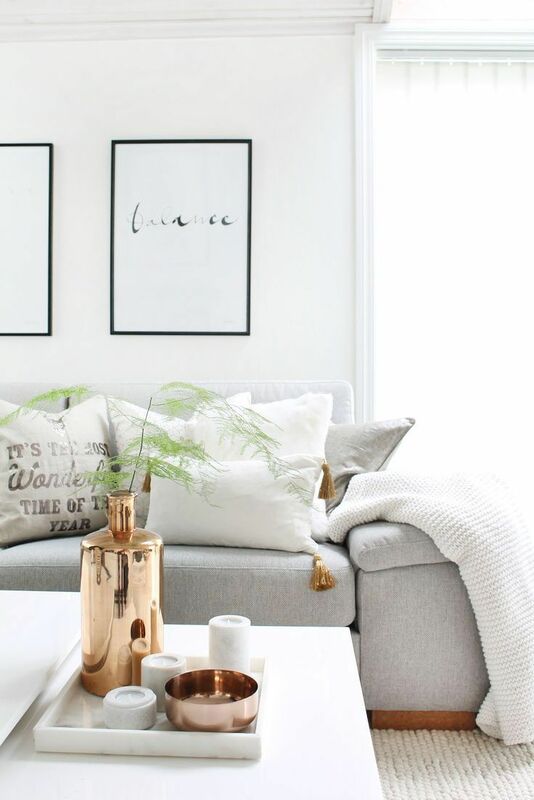 So grab a cuppa, put your feet up and take five with today’s metallic inspiration…. 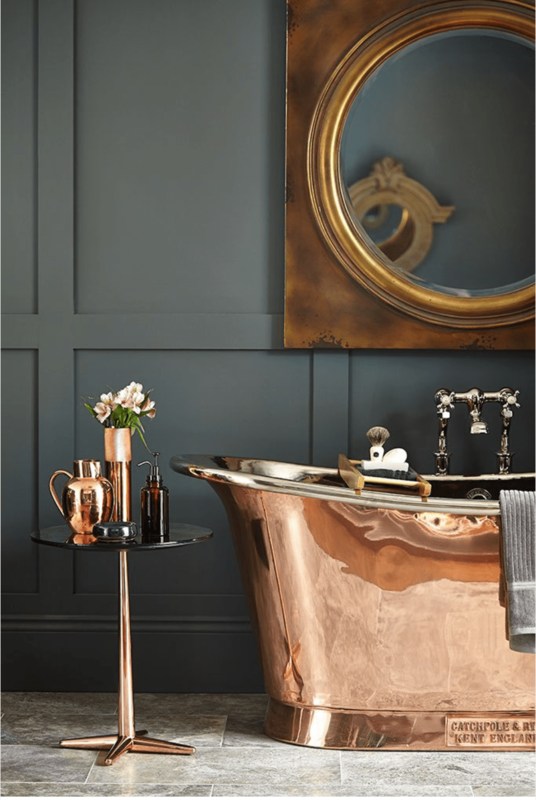 Instead of adding metallic accents by way of bathroom fitments, why not go the whole hog and blow the budget on a stunning copper bathtub like the one above. What could be more luxurious or opulent than soaking in a bubble filled tub like this! Although, I would swap the copper jug for some Moet, and add a couple of Jo Malone candles. That way I might just be able to forget about Christmas, for an hour or two!! 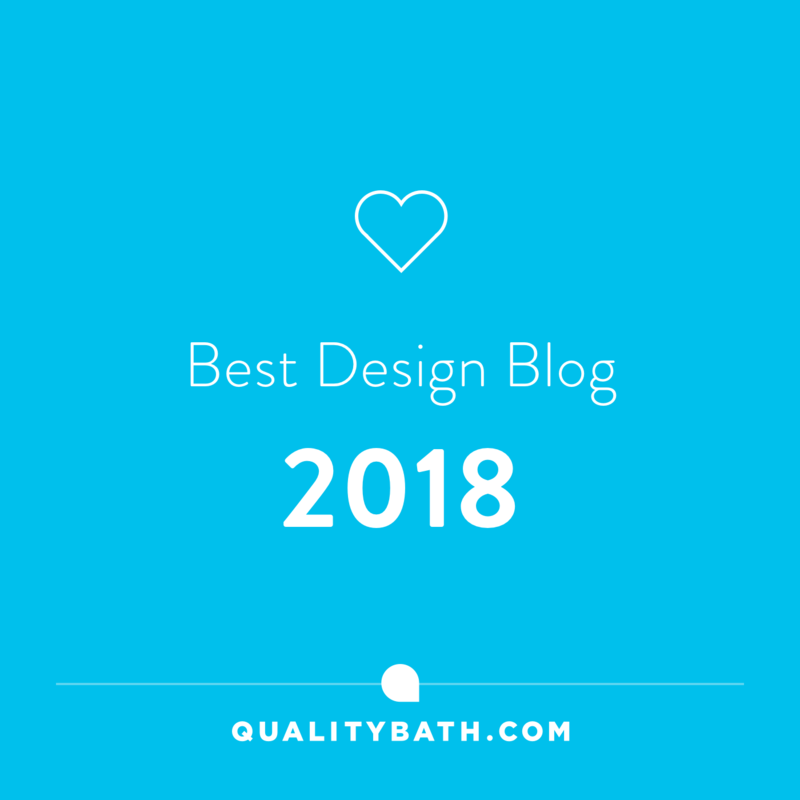 Ok, so you and I probably can’t afford the bathtub above, but we might be able to shell out for some brushed brass hardware to update the kitchen. 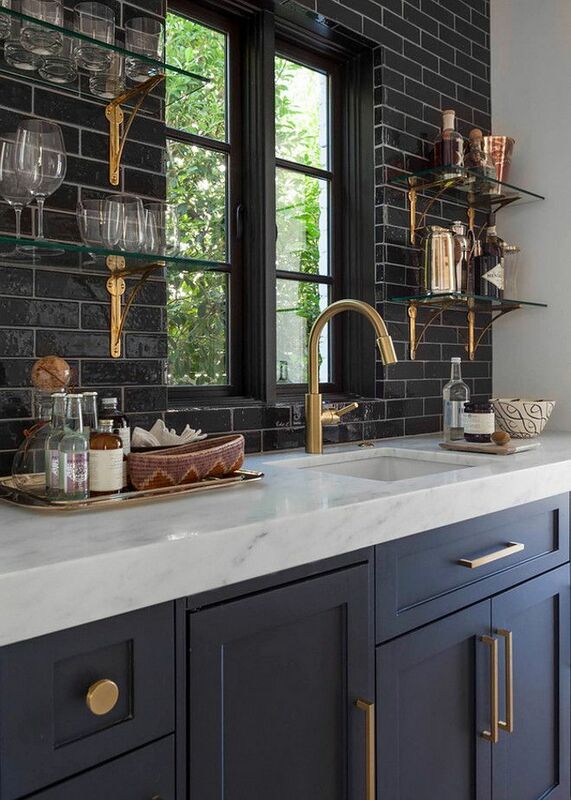 They certainly add a touch of class to the kitchen area, especially if you have contrasting dark blue cupboards like these where they shine out at you and make you just wanna cook. 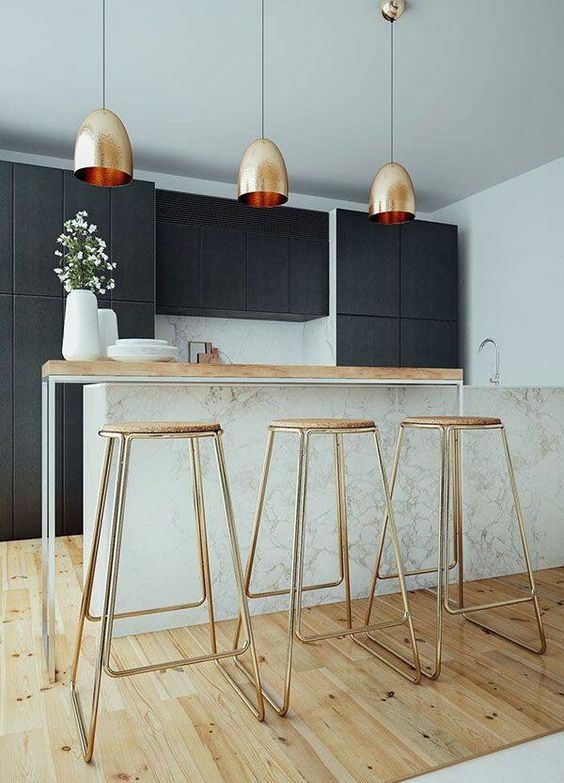 Or maybe you’d prefer a more subtle elegant touch of gold and copper with simple pendant lighting and some cork bar stools like this fab minimalist kitchen? There has been an increase in metallic wallpapers over the past few years, and they certainly add texture and interest to our spaces. 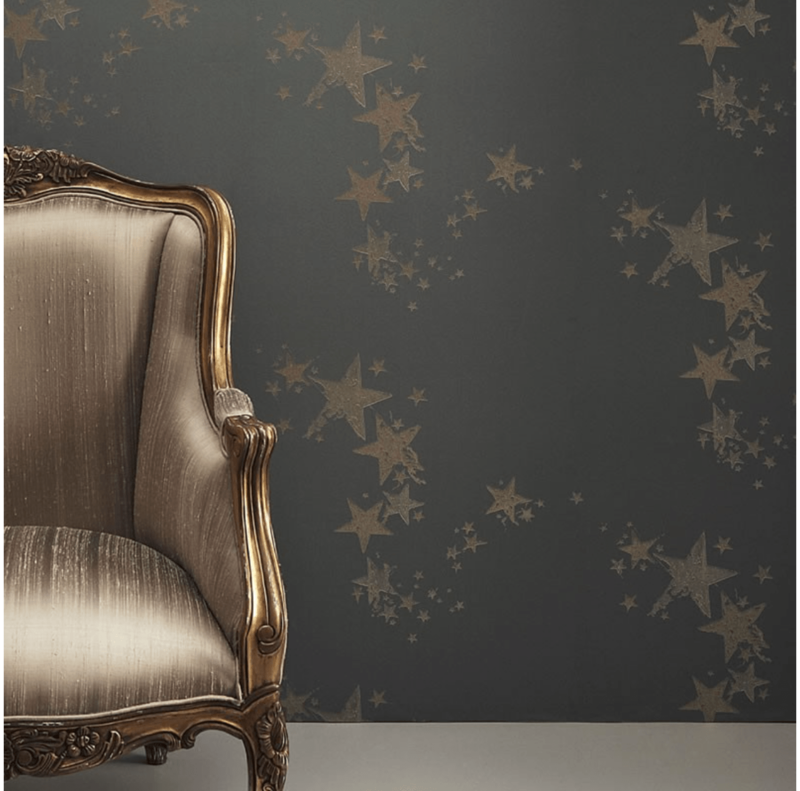 Why not add some grown-up stardust to your spaces with this All Star Grey wallpaper by the talented Barneby Gates. It’s aged style gold leaf stars on a cool grey teal background will provide your spaces with an air of sophistication and charm at the same time. 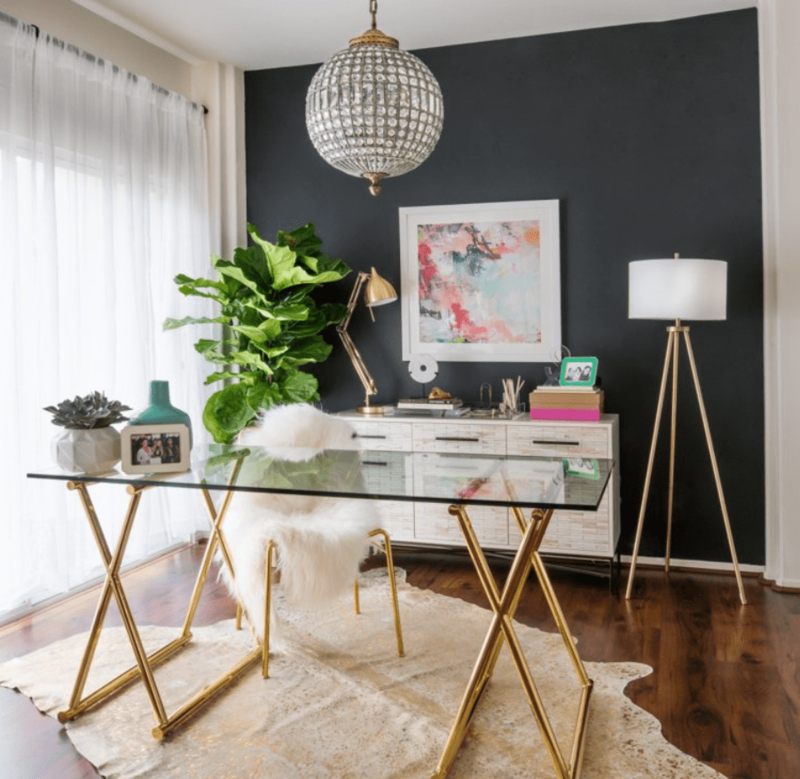 For those of you that work from home, (and there are a growing number of you), adding some metallics to your working environment will certainly make you feel special. The above feminine and pretty home office belongs to Popsugar and proves, you can be all grown up and sophisticated whilst working from home. Even if you’re sitting in your pyjamas at 2 o’clock in the afternoon. 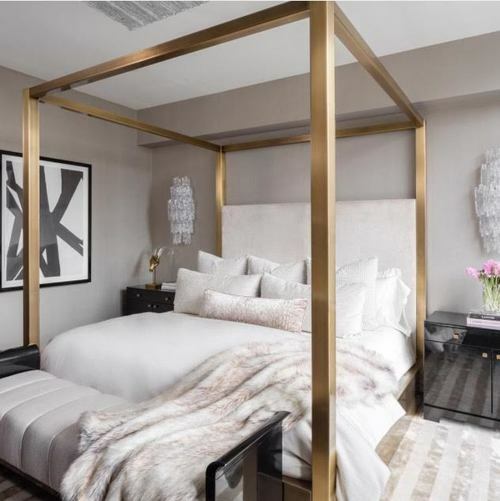 Like the copper bathtub, this steel and brass finish canopy bed may be way out of our league budget wise at a whopping $7,999.00, but it certainly adds an air of importance to sleeping, and I do love my sleep. We can all dream though, right? 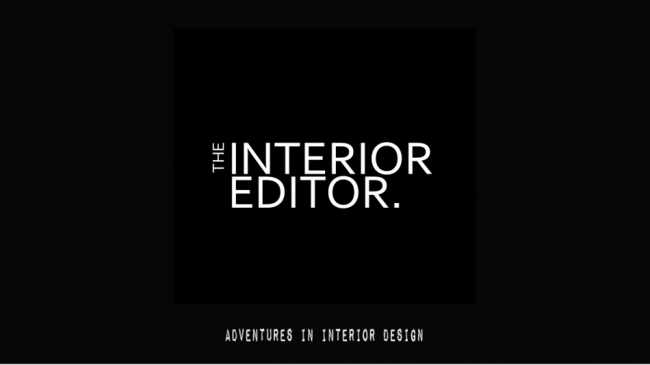 Finally, a much more realistic approach is to add small accents of metallic’s to your spaces. By doing so you will instantly bring an air of glamour, and opulence to your living spaces. Swap the bowl and vase above for those Tom Dixon bash vessel bowls, and this space would look perfect, don’t you think?! And as always, thank you for stopping by and reading today’s post, I am always truly grateful!